You’ve gone and spent an exorbitant amount on that fabulous party dress and hey, it’s money well spent, you think to yourself. Your ‘Grams have gotten more likes than ever and you were the envy of all your pals. Great! But now comes the real problem: It’s a new work year and that beautiful number will soon be neglected, gathering cobwebs in your closet for months — until the next party season, that is. Our suggestion: Put that dress to work and recycle it for the office. Before you dismiss this as a ridiculous notion, hear us out. It’s tricky, but not impossible. Here’s how to do it. Got yourself an ostentatious metallic dress or one with blinding sequins? As long as it’s not fashioned in a bodycon silhouette, you’ve got the green light to don it for work. However, you’ll need to tame the bold number down with a black blazer. Work with a double breasted piece, preferably cotton, to sharpen up your look. When the weather’s too warm for a blazer, throw a blouse on instead to keep yourself cool. Needless to say, the blouse needs to be work appropriate so leave those that sport ruffle details or bright hues at home. A neatly pressed collared shirt in white or light blue is a fail-safe option. If your shirt is too long, button it up and leave the last two buttons undone. Then, tie a knot at the hem of the shirt and tuck it inwards to hide the knot. When it comes to wearing a party frock to the office, the rule of thumb is to be conservative, that is, to cover up. Exposing your arms, neckline and legs all at once is a big faux pas for work. Give your look a quirky edge by pulling on some pants underneath your dress. Tonal coloured pants are great for brightly hued dresses, and vice versa. Only slip into jeans on Fridays. P.S: If your dress is a bodycon, this trick works too. Simply tuck it into your pants and voila, it’s a top. A fancy party dress is already loud enough. The worse thing you can do is over-accessorise it with more bling. Leave your big and bold jewellery at home and just go for the simplest pieces. 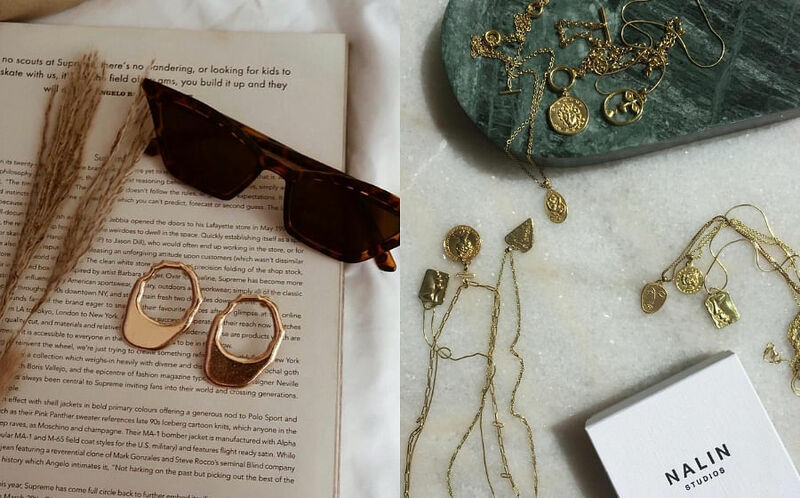 Dainty necklaces and solid gold-tone earrings are just some options, but going bare is best. A tip: Avoid hoop earrings especially, as these are go-to party accessories. Your boss is unlikely to take you seriously if you show up flaunting them. When wearing your party dresses for work, the last thing you should do is to strut into your office wearing your platform heels. Tame your look by donning flat shoes instead. Think along the lines of ballerina flats, moccasins, loafers or even dress sneakers (made of leather, wool or suede). Not only do they provide a more quirky contrast, it’s also more sophisticated and suitable for work.